Here we are again, sharing our top 5 products that we've been liking for the month of November. These favourites post are truly a bench mark of how quickly time goes by huh ? 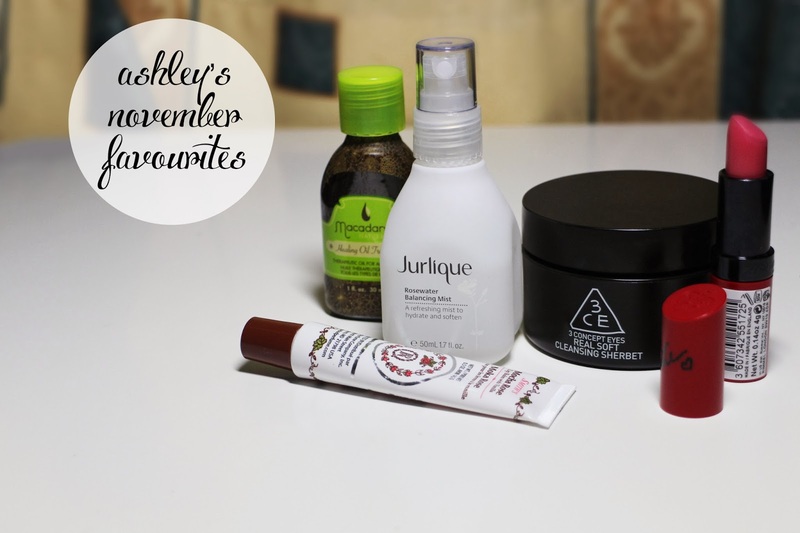 November was a transition period between school and the holidays for Sam & I and for me, a change in weather, hence most of the products lean towards winter care. I'll keep this month's introduction short and sweet , so on to the post we go! I've been looking to introduce a good toner back into my routine ever since I stopped using the Aquamoist vitamin C toner way back in May. I know, 6 months without a toner?! guilty as charged... I've heard so many products in the market that works wonders and I re-discovered this product whilst being back in HK. 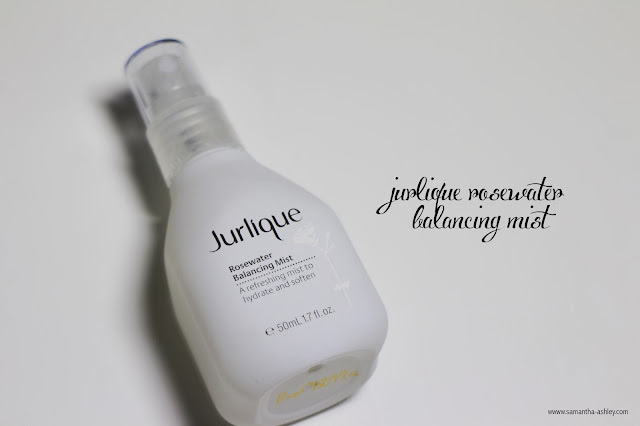 It's a product that's in my mum's skincare routine and I happen to have fallen in love with it. It is incredibly lightweight, has an amazing rose scent and it freshens up your skin. I typically like to use this before moisturising and occasionally after my makeup to set everything in place. The only thing is that it is housed in a glass bottle which makes it hard to take in your purse to freshen up and hence I like to keep mine in a travel size bottle. My hair has been insanely dry for the past couple months and I believe it's because I'm in dire need of a trim / hair treatment. The Macadamia healing oil treatment done a really amazing job at hydrating the ends of my hair and preventing them from looking dry and feeling crisp. 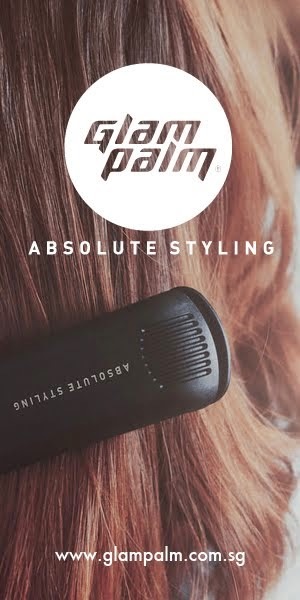 I like to apply this after my shower on towelled dried hair before I blow dry it out and just a very tiny amount the next morning before I head out to tame the ends to keep it from frizzing. 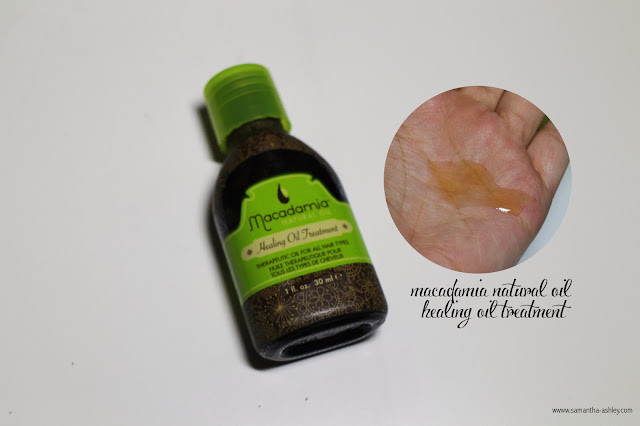 It also doubles up as a great heat protectant to protect the cuticles in my hair and comes with a slightly sweet smell to it (don't worry, it's not the cheap smelling kind of sweet). The amount you should use really depends on the volume of hair you have on and for me, I'm using about twice the amount that's shown in the photograph whilst my hair is slightly damp. 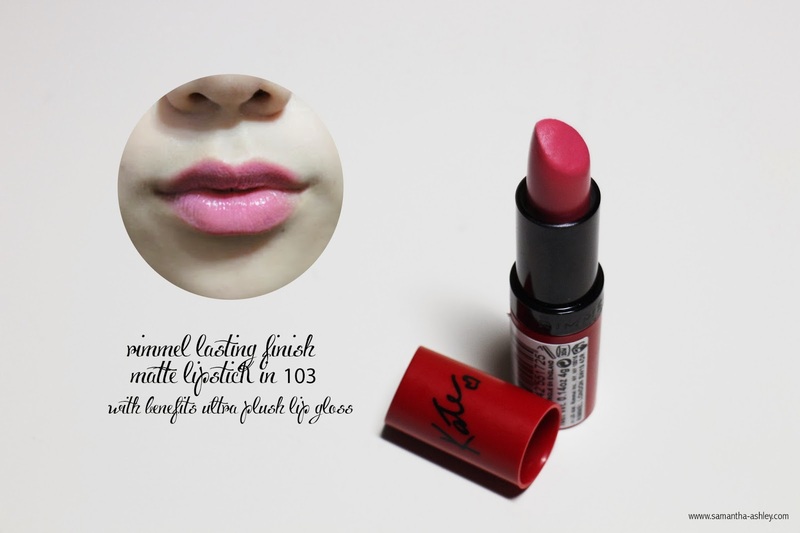 I finally got to try the infamous Kate lipsticks from Rimmel! This is a product that Sam passed on to me, and as I mentioned in my sephora lipstick review, the colour of the lipstick can come off different on everyone depending on their natural lip colour. She felt that the colour did not look true to the colour that she had hoped it would and asked if I wanted to give it a go. I did, and well, needless to say , I love the colour! The texture of the lipstick on its own isn't extremely hydrating but topped off with my benefit ultra-plush lip gloss in plush, it creates the perfect girly pink lip and has been my go-to if I'm not pulling off something of a darker shade. It has a matte finish which I do like, the colour does transfer quite a bit but the beautiful colour makes up for it. Price: * I'm not sure as Sam got it on her trip to Aussie. I have a review on this coming up very soon that will explain in full detail why I adore this product so much. 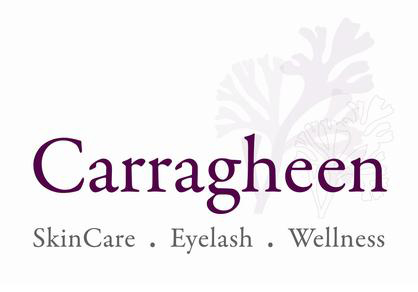 It's extremely hydrating, gentle on your skin and removes all makeup including waterproof mascara. This might be odd, but watching all my my makeup "melt" off my face is actually quite satisfying and having this product in my cleansing routine just makes it all the more enjoyable. 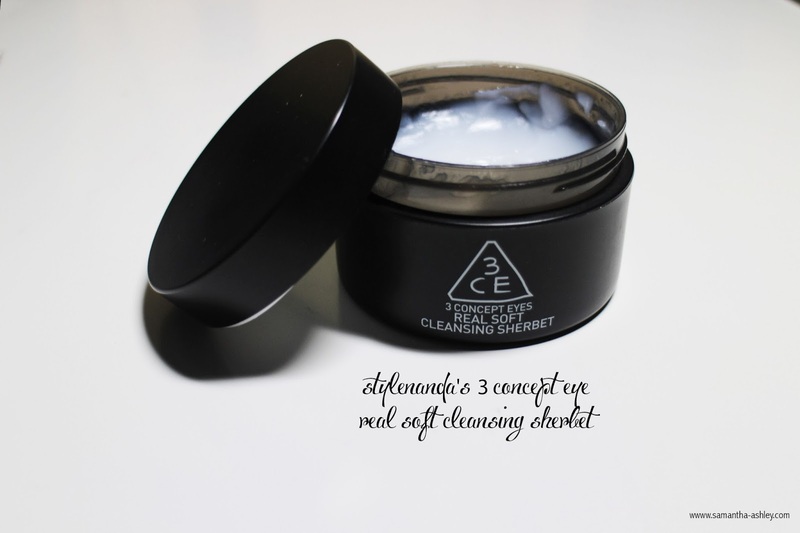 I love this product and it is definitely one of my holy grail cleansers, definitely something you'd want to purchase if you're looking to try something out from Stylenanda's 3CE cosmetic/ beauty line. 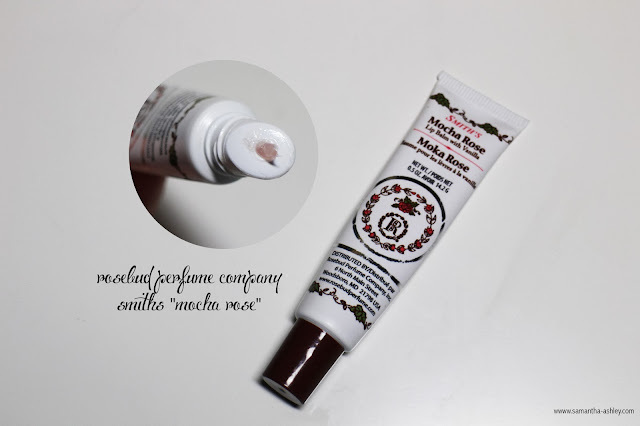 Smith's Rosebud Salve in "Mocha Rose"
This is an absolute life saver and an a winter must have for me. I'm not sure if you've experienced this when you're in a really cold place but we do tend to sniff and rub our noses a lot resulting in the aggravating the skin causing it to tear. Much like when we're having a cold and our noses run a lot. This baby right here is not only great for preventing chapped lips but great to apply around the nose area to protect our skin. There are different scents to the Rosebud salves that Smith's has to offer and you're bound to find one that you like. In my opinion, the consistency isn't as heavy as regular petroleum jelly and the tube is great for application on the go!